ISBN 9780825640698. 9x12 inches. Compiled and arranged by Peter Draper. Compiled and arranged by Peter Draper. 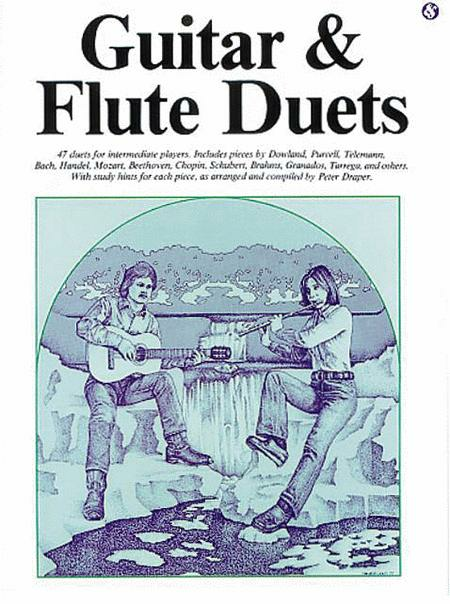 Forty-seven duets for intermediate players with study hints for each piece. Composers include Dowland, Telemann, Beethoven and Albeniz. 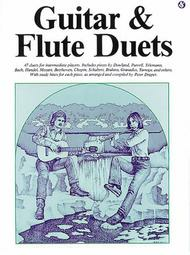 Separate flute part. other book. However: Of our G&F books, (wedding, Christmas...ya'know) We've taken most of our gig material from this one. If you're looking for a different distinguishable sound that separates you from other duets, then this book is essential for your gigging repertoire. The industry standard for all special event gigs. Works for guitar and any other instrument that reads treble clef. Also works for trios if bass clef person can read downbeats in guitar part. Pleasant tunes, none too long, stuff for wedding ceremonies. A serious keeper for gigging musicians. and guitar other than Paganini. These are some nice arrangemnets of well know pieces. I play mandolin in a guitar/mandolin duo and use some of these for performances. This is a very favored collection to draw from when doing gig work in this chamber music combo, in particular weddings - and a few of the selections even work very nicely for the more casual concert situation. 29 of 59 people found this review helpful.